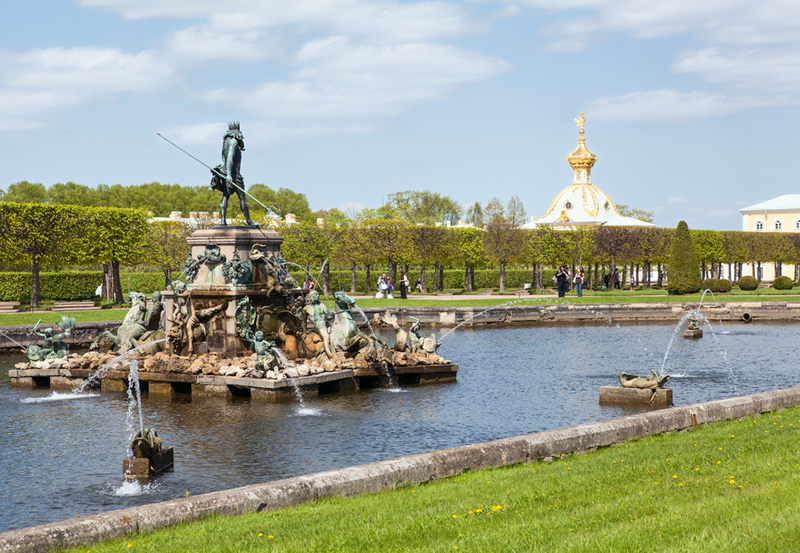 Unquestionably the number-one day trip from St. Petersburg, Peterhof lures visitors with its Versailles-inspired palace on the Baltic Sea. This scene is much better appreciated from April to October, when the Grand Cascade is flowing and the park is in bloom. Going to Peter the Great's summer palace by ferry or hydrofoil enhances the pleasure of the experience, giving you a sense of Peter's maritime ambitions and of the region's role as Russia's western frontier. The boat ride and extensive park make this a great summer outing for kids.